Here are a few examples of how IoT technologies can lead to a better patient experiences or outcomes. The internet of things, or IoT, is changing the way that people live, work and stay healthy. The cohesion and communication provided by IoT technologies is becoming evident in the healthcare field. Among other things, it's making it easier for providers to keep track of and monitor patients in between visits, which can make treatment more effective and efficient. This new technology also helps predict future healthcare trends that can make diagnosing patients easier and more accurate, and help to guide treatment in ways that are effective and timely. Here's a look at some of the ways in which the internet of things is revolutionizing healthcare. 1. A continuum of care. Each time a patient visits a doctor, hospital or healthcare facility, a record is made. Unfortunately, there are limitations to the access of these records, and those limitations could cause integral information to be omitted from patient records, particularly for primary providers and physicians. Practitioners often rely on patients to garner a thorough patient history, and some may have difficulty remembering precise treatments and interventions after the fact. IoT technologies can streamline the process and make it possible to notify primary providers of any visits, treatments and medications that have been prescribed between routine visits, creating a more comprehensive continuum of care. 2. More accurate prognoses. The internet is ever evolving, and more treatment approaches and interventions crop up daily. 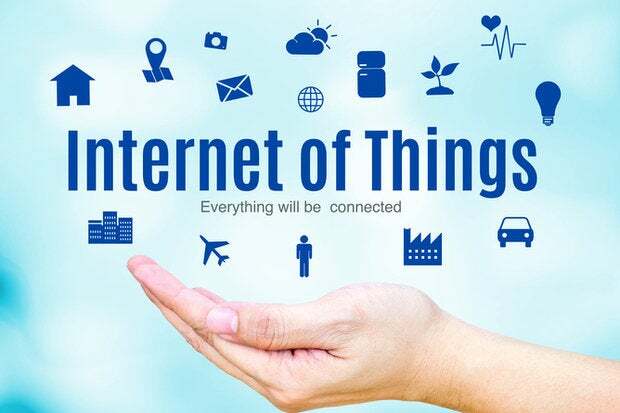 With the wealth of information and case studies available through cohesion and connectivity via the IoT, providers may be able to better assess patients and provide more precise prognoses for them, based on what is occurring and being conducted elsewhere in the world. 3. Preventative health strategies. 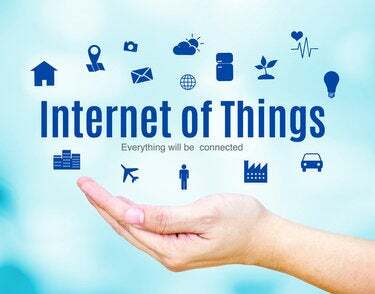 The information made available by IoT technologies affords the healthcare industry the ability to assess effective strategies used in other regions and with other patients. The efficacy will be documented and accessible for providers, potentially opening up avenues for patients who have not responded to current interventions or who may not show signs of being at risk for particular conditions. This new mode of communication enables providers everywhere to be on the same page as clients and colleagues, and that interconnectedness could help prevent illness, enable the discovery of new cures and lead to a decrease in healthcare costs for consumers. 4. Compliance alerts. The IoT gives providers unique new opportunities to evaluate their patients’ compliance with treatment recommendations. For instance, a doctor may be alerted if a patient does or does not take medication, or an automated system could assess the patient’s glucose level when the provider is not available. This could lead to earlier intervention when someone's health is at risk, and provide a way of notifying providers when patients have either forgotten about, or failed to pick up or take, prescribed medications. 5. Effective treatment planning. Another new advantage that IoT technologies offer the healthcare industry is the ability to personalize and tailor treatment planning, both long- and short-term, for the patient — which leads to reduced overall costs for consumers. Patients will have the ability to track their own health maintenance and the impacts of interventions, without needing to self-report later on to their primary physicians. This can promote adherence to suggested treatment interventions, lower readmission rates and cut down on no-shows for routine appointments, which cost both the consumer and the provider valuable resources. 6. Population-based insight. The bevy of information related to healthcare could be condensed into cohesive findings that produce population-based insight into conditions, ailments and medical issues. This will go a long way toward determining the best treatment approach, without the trial and error that often wastes valuable time and resources. Healthcare providers have long relied on their patients to report symptoms, signs, and side effects, and that model can lead to a variety of miscommunications. Problems with patients' reliability, recall and compliance can make it difficult for practitioners to gauge if interventions are actually not working, or if the patient is just not complying with recommendations, making it challenging to assess the next move. Emerging IoT technologies promise to support a more comprehensive approach to healthcare, potentially yielding more favorable outcomes for patients who seek resolutions to and relief from chronic conditions. As the number of devices connected to the internet of things grows, the one area that we must improve is interoperability and, specifically, the ability to integrate these devices to the healthcare workflow. We are still early in adopting the IoT technology in healthcare, but it's an area that's picking up steam, and patients can play an active role by using their devices to manage their health proactively. Feel free to connect with me via the various social channels to provide me with feedback or ideas for my next blog post.